While traditional cover shoes must be on the post before the base-plate is welded in place, Simshoe® allows you to put your shoes on last. While traditional cover shoes must be on the post before the base plate is welded in place. The Round Simshoe® allows you to put your shoes on last. 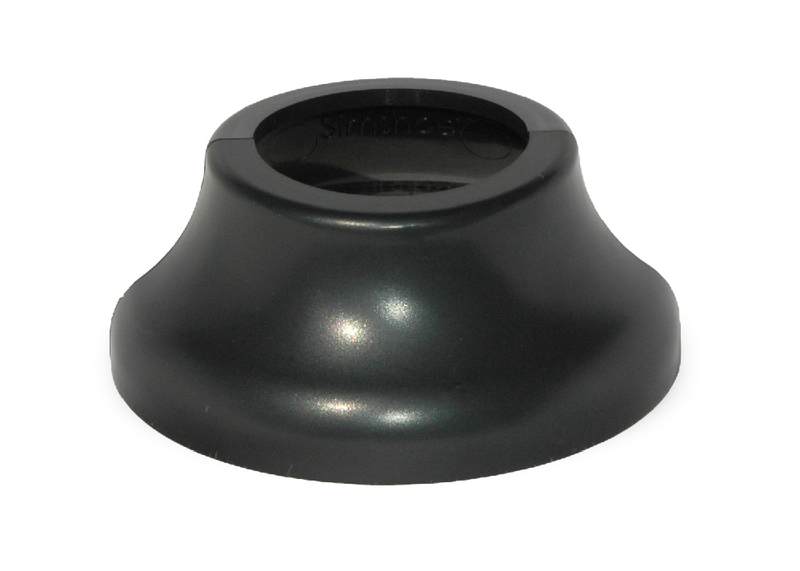 Traditional cover shoes don’t allow enough room to install lag-bolts with an impact wrench due to the 4″ MAX space code, but NEW Simshoe’s ®split cover style shoe allows you to install them last. 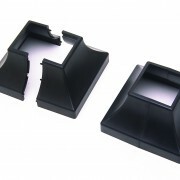 Baseplates can now be welded to posts in shop and installed directly to the balcony or stairs. No field welding of baseplates means less heat damage to flooring and surrounding areas. This also cuts down drastically on valuable installation time. 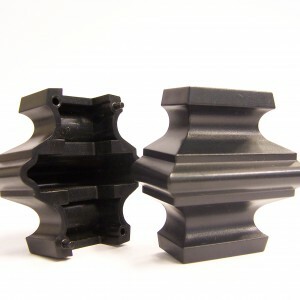 The Round Simshoe® halves fit together snugly, but a small amount of ABS glue is recommended for permanent installation. Round Simshoes® are molded in durable black ABS plastic with a satin finish. They look nice as they are or may be painted custom colors to match the railing. 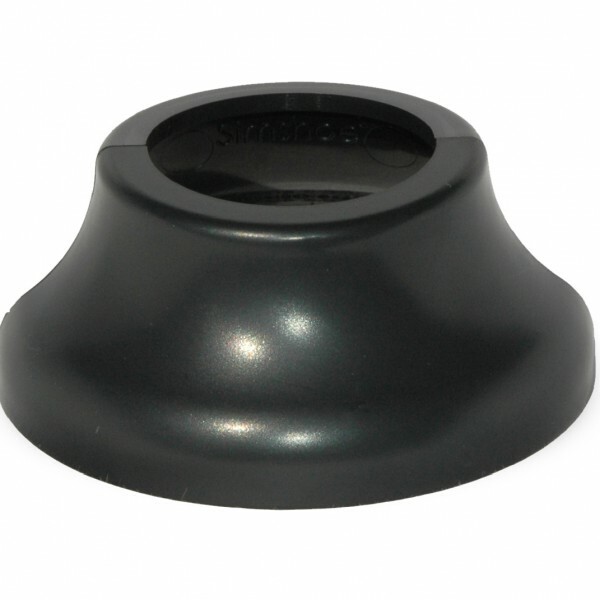 Round Simshoes® are 1½” tall and are fit to cover a 3″ round base plate.